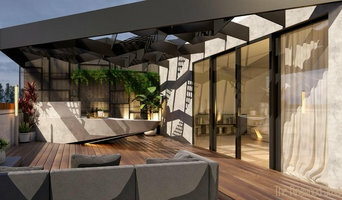 Surprise elements, innovative materials and differing surfaces, the use of a clear and structured design language are distinguishing features of all our projects along with a hint of FLAMBOYANCE. The interaction between light and shade always plays a particular part and the appreciation of art is considered in all our working processes as it is an important aspect the composition of emotional space. Pinewood also dedicate ourselves to other tasks with a lot of energy and a wealth of ideas – from the beginning to the final result, from the first idea to handing over the key. Our high expectations and our love of creation are presented in the result - in the newly created space. 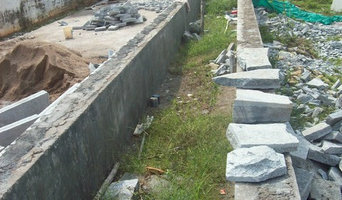 EFGH & ASSOCIATES is a Landscape Developers Firm providing service throughout the India region. PHILOSOPHY The EFGH symbol is an amazingly simple yet intense sacred geometric shape. It represents the delicate balance and oneness that is inherent in all of life. In the most successful relationships; be it, in nature or between people, all components work as one. Each component is whole unto itself and yet together they create something completely brand new. Fluidity and boundlessness can be achieved by meeting in the middle. Within this balanced place, components of the relationship can move in and out of one another, sometimes forgetting which part belongs to them and which part belongs to another, thus unbounded creativity is born. As relationships fall out of balance, indeed, they fall out of infinity. EFGH&ASSOCIATES strives to foster the balanced relationship between their firm's clients, contractors, and consultants so that fluid communication is achieved, unbounded creativity is born, and successful projects are completed to the highest standard of excellence MISSION EFGH& ASSSOCIATES Inc. exists to benefit the lives of our clientele by refreshing the users of our outdoor spaces in body, mind, and spirit. We strive to inspire moments of optimism and tranquility through our attention to detail and regard for form and function. Our ultimate obligation is to provide value to our customers with consistently attractive, enduring, functional, and environmentally responsible solutions to their landscaping needs. landscaping, gardening, lawn care, tree care. Over time, I’ve expanded the walling work that’s been the backbone on my career to include dry stone sculpture and environmental art. The designs typically take dry stone techniques and traditions into new territory. A concept will be explored through the lens of what’s known to have worked in the past. The core of a design is always some borrowed understanding. It might be my own knowledge gained from a previous project, or, it may be the experience of others made intelligible through observation and study. Design is applied comprehension. The creation of an art piece begins with fabrication and ends with installation. One question remains. Will it last? Because landscape artworks are one-of-a-kind, site specific, custom built objects, each one is unprecedented. There’s nothing exactly like them to compare them to. Their lifespan can be guessed at, but not known in advance. The craftsman in the builder strives for strength and durability through exacting skill. The artist in the builder seeks surprises in the process that will lead to breakthroughs in shape and form. Making something new is why I do what I do. But everything new eventually becomes something old. Watching how is gets there is both fascinating and frightening. I had some trepidation returning to the “Sheep Shed” eight years after construction. The techniques I employed in the roof structure of the functional art piece were time-tested by other craftsmen, in other lands. Observing old buildings in the Swiss Alps gave me faith that a dry stone roof system was doable. I just didn’t know if I could do one. Looking up at the spruce timbers and undersides of the roof stones, I breathed a sigh of relief. The Sheep Shed was standing proud, and except for the patina of age that had begun to cover the wood and stone surfaces, it looked like new. What does a landscape architect or landscape designer in Hyderabad do? Landscape architects in Hyderabad, who typically belong to the Indian association of Landscape Architects (ISOLA), are trained to develop comprehensive structural plans that include plants, hardscaping, water use, drainage and more. They can also design any structure that will be added to the landscape, such as gazebos, retaining walls and other garden features. Typically, the expertise of a Hyderabad landscape architect can apply to understanding your space and natural environment. They work closely with architects and other contractors to develop your landscape or garden in accordance with the other plans. 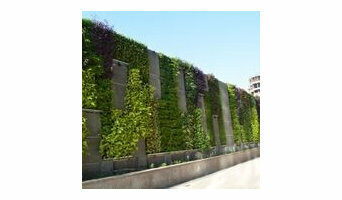 Landscape designers or garden designers in Hyderabad specialise in aesthetics and horticulture. Keeping in mind both style and functionality, a landscape designer will analyze your architecture and garden to produce a plan that may or may not include location and materials for walkways, patios, water features, garden aspects and more. In addition, he will carefully assess your geographic region to choose plants, trees, and flowers that will flourish naturally, as well as address concerns such as drainage, screening and soil conditions. 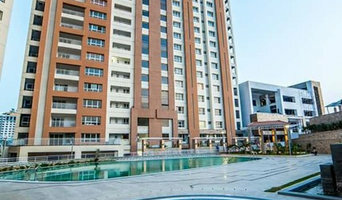 Certain landscape architects and designers in Hyderabad only help with the planning portion, while some may deliver the plans and then oversee a hired landscape contractor. Others follow a design-build approach — take care of both the design and all aspects of the landscape architecture and construction. Why should I hire a landscape contractor in Hyderabad? Don’t have a green thumb to main the lush and lovely grounds that will be the envy of all your neighbours. 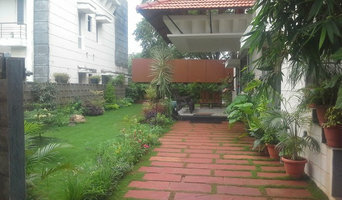 Hire a gardener or landscape contractor in Hyderabad to create and maintain your garden. Landscape firms in Hyderabad will be able to bring your outside space to life with flowers, plants, trees, shrubbery, lawns and all sorts of verdant, floral features. Landscaping companies in this category execute gardens that have been drawn up by a landscape designer or architect, while some can also provide design services of their own. Gardeners in Hyderabad, on the other hand, will deal only with lawns, plants, trees and flowers. With a thorough understanding of horticulture and will be able to choose plants, garden edging and materials that will complement your home and thrive in the climate. A good Hyderabad gardener will take care of weeds and pests, and perform other tasks such as pruning to keep your garden looking its best. Find landscape firms on Houzz. Narrow your search in the Find Pros section of the website to landscape contractors & architects. You may also look through photos of landscapes to find one you like, then contact the landscaping company in Hyderabad who worked on it.